Sweet summer corn has arrived! Farmers Markets everywhere have them, and in some cases grilling them up right on the spot. If there were any a time to pick them up, now would be it. So sweet and tender that you can peel back the husk and bite into it raw. There are several varieties but typically you find white or yellow kernels. Corn has been cultivated for thousands of years and has been a part of our diet in so many different ways. It dates back to almost 7,000BC in Central America. We’re not entirely certain when the crop made it’s way North and East, but by some accounts it seems that Christopher Columbus may have been instrumental in helping that journey. 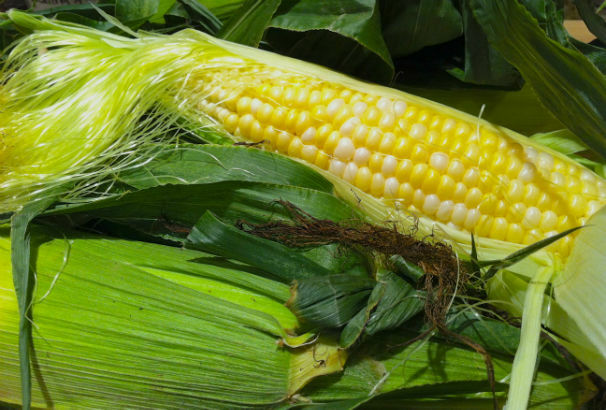 When picking up your corn you want to look for bright green soft husks that are fresh and firmly clinging to the cob. Pull them back a bit at the top and take a look at the kernels and silk. They should also be fresh looking not dried out. Dryness is a sign the corn has been sitting around for a long time. 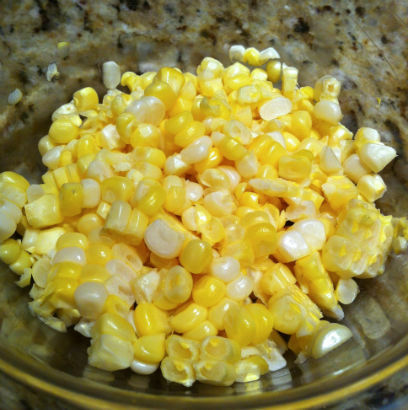 It’s best to eat your fresh corn one to three days after picking it up. Wrap it with a paper towel and then place in a re-sealable bag in the crisper bin of your ‘fridge. If keeping it longer you may want to consider freezing it. 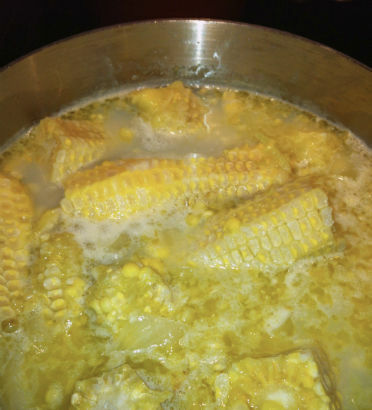 Corn is extremely versatile and can be eaten raw, grilled, boiled and pureed. When it’s really fresh nothing beats eating it raw in a salad with red onion and lettuce greens. Probably my most used technique on the grill came from an idea Martha Stewart suggested many years ago. 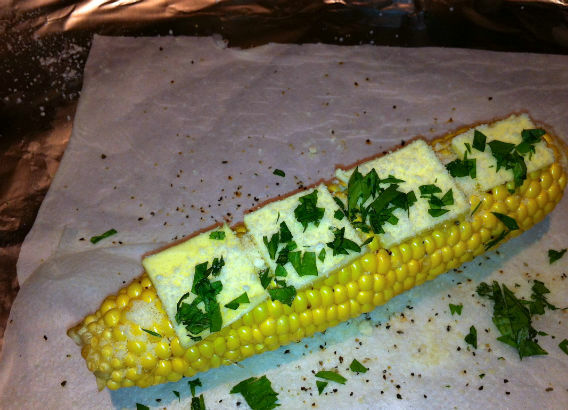 After taking of the husk and silk place the corn on a piece of wet paper towel with a little butter and seasoning and then roll it up in foil and place on the indirect heat side of the grill. The heat steams the corn that is wrapped in the paper towel and the butter melts right into the corn. It’s a great alternative to getting the pot boiling while you are grilling! 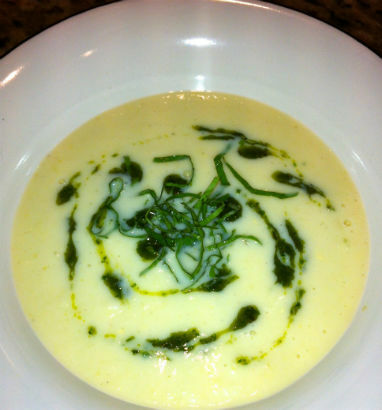 However, my most favorite way in the dead of summer is to make my Chilled Corn Soup recipe. This recipe is all about the corn and nothing but the corn. The “stock” is actually made from the cobs. Typically discarded, they hold a lot of flavor as well. This recipe takes no time at all to make and then a few hours to chill down. Here’s a video on how to make it! If you are a corn lover like me now is the perfect time of year to really enjoy this vegetable. Get it while you can!